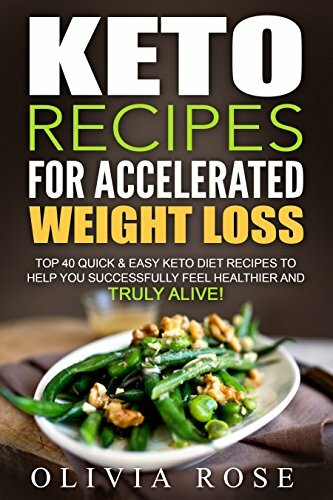 In this book not only do I help you understand what the Ketogenic diet is all about but also share some recipes for the various meals you will be consuming through the day. As the Ketogenic diet consists of consuming a large amount of fats, proteins and uses a low amount of carbs, it works wonders if you have been trying your best to achieve that fabulous body you have always wished to achieve. However, do remember, while diets work in a simple and effective manner, it is all up to you. That is, it all depends on how you maintain the balance and not just eat healthy but also tries to indulge in a little physical activity at least three to four times a week. If you do not lead a sedentary life or your work does not involve too much of physical activity, monitor the intake of calories per day. If you lead a life which is heavy in physical activity, you will need to accordingly adjust the ratio of fat to protein to carbs accordingly. As per the Keto diet, your daily diet should include a higher amount of fat, a moderate amount of protein and a low percentage of carbs. While several people claim that diets are not the best way forward to losing weight, it is only because they tried and failed. The reason for them failing is not the diet but infact it is because they don’t begin the diet on the right note or are unable to maintain the balance in what they eat or drink and hence the diet they should have been on turns into a disaster for them!